Visual analytics is the act of finding meaning in data using visual artifacts such as charts, graphs, maps and dashboards. In addition, the user interface is typically driven by drag and drop actions using wholly visual constructs. The up side to this is ease of use – the down side can be limited functionality. Many platforms include some form of scripting language for more complex requirements, and some of the newer tools also include help with interpretation. 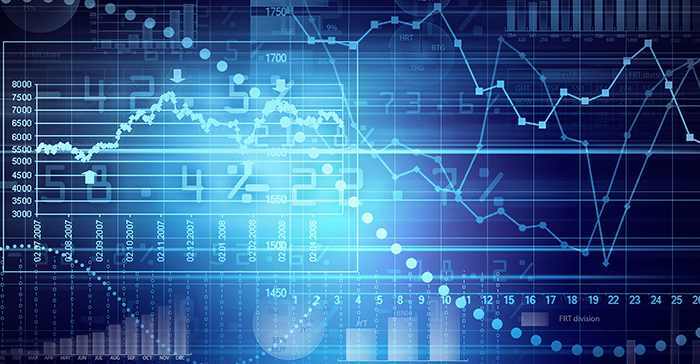 Visual analytics are very prone to misinterpretation, but guidance and significance are increasingly being incorporated into visual analytics software. BIME is a cloud based visual analytics platform that connects with a wide range of data sources – internal and external, it offers a very easy to use interface, supports extensive collaboration and does all the things that might be expected of a BI solution. All the usual charts are supported, in addition to highly functional maps, relational analysis, funnel charts – all in a very customizable environment. ClearStory provides a cloud based platform that takes business users from data to visualization with minimal need for technical skills. In common with several other suppliers (Tamr, Paxata, Platfora and others) it uses machine learning techniques and Apache Spark in-memory processing, to take data from its raw state, to a state where business users can create the data visualizations they need. DOMO is a cloud based BI solution that caters to management and executive information needs. It also comes with strong collaboration support, and is particularly easy to use. The downside of this is that DOMO provides relatively weak data visualization capability. 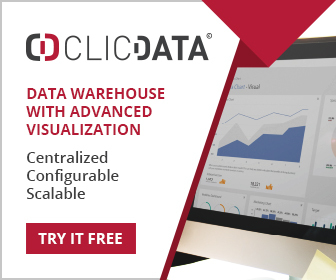 GoodData is a cloud based BI platform ideal for business users who need an easy-to-use interface. It supports the creation of charts and dashboards, and connectivity to a large number of data sources. This is not a particularly sophisticated platform, but does offer recommended visualizations and mechanisms to embed visualizations into other applications. Inetsoft provides reporting and data visualization capability that is well appreciated by its OEM customers as well as enterprise users. It employs some novel techniques for high performance query execution, and addresses the needs of power business users in addition to production needs. InfoCaptor is available through the cloud, or can be installed locally – in both cases it provides a browser interface. Technically this is a very competent offering, with a bewildering number of chart types, and the facility to easily create and distribute dashboards. Logi Analytics provide Logi Info for operational reporting, dashboards and self-service needs, and Logi Vision for data visualization and exploration. It’s a very broad range of functionality, and Logi offers excellent extensibility, developer tools, embedding and ease-of-use. Looker bucks the trend by placing a powerful modeling language at the heart of its product architecture, and by directly processing data held in external databases. It is particularly well suite to businesses that need to analyze complex metrics. Microsoft Power BI data visualization sets a standard for ease-of-use with its natural language query. It is also evolving at a rapid rate, and is starting to challenge established player in this space. Expect to see it become very widely adopted. Microstrategy is a very deep and very broad business intelligence platform. It is most suitable for large businesses with extensive production reporting needs. The data visualization capabilities are above average, but not exceptional. Prognoz provides a broadly based BI capability with several types of analysis – specifically OLAP, time-series-analysis, and modeling and forecasting. It also provides end-user tools, and specifically the ability to create charts and dashboards. Qlik Sense is an easy to use visual analytics platform with an excellent data discovery engine and can easily be extended for bespoke needs. It comes as a free stand-alone desktop version, an enterprise server edition and also as a cloud service. SAP Lumira is the obvious data visualization tool for businesses with a large existing SAP investment. It doesn’t distinguish itself in any particular way, and other users will find a large number of more suitable alternatives are available. Tableau is the benchmark for easy to use data visualization tools, and has certainly caused other suppliers to improve their act. The scalability of the product is excellent, but it lacks the sophisticated developer support of some other products. It is a very good adjunct to BI platforms which do not have particularly good visualization capabilities. ThoughtSpot BI platform is given the tag line of ‘search driven analytics’. The user interface is driven by a search bar, much as a user of Google experiences, and natural language queries can be entered using the language of the business concerned. Yellowfin is an excellent all-round cloud enterprise BI solution with good data connectivity and management, numerous mechanisms for effective governance and support for embedding and the creation of cloud based services.